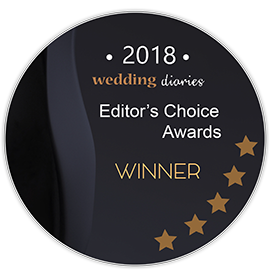 EDITOR'S CHOICE: We've handpicked the best of the best wedding venues in Port Macquarie NSW to help you pick the right one for your big day. Love is truly in the air with the countryside breeze, the river views, and the expansive blue bayside available to take your breath away. These are the first reasons why Port Macquarie is an ideal place to plan a wedding. Rest assured, there are countless more reasons to come. Kick back and relax in your early wedding planning stages knowing that there are many wonderful venues available. Take your time to soak up the atmosphere at these venues and make sure they are a right fit to celebrate your unique love between you and your partner. Enjoy exploring new destinations in Port Macquarie as you search for the best wedding venue. In no particular order, here our the editor’s top picks for wedding venues in Port Macquarie and surrounds. Overlooking lush vineyards and serving a quality drop of wine to match the views, Little Fish Cafe Restaurant and Winery is a perfect place to start with wedding venues. The seasonal menu is sure to please guests and provide a filling, French style meal to commence the festivities. A ceremony and reception will be both magical and elegant in the most casual way. From the vine covered gazebo to the Jacaranda trees dancing in the background, you’ve already got yourself a beautiful setting. Guest capacity can be determined based on the space available, both indoors and outdoors around the property. Style is central at Sails Port Macquarie by Rydges. The first you and your guests will notice is the stunning waterfront views, overlooking the harbour in a magical light. There are many options for space to use, whether you want a lavish ceremony or an intimate affair. There are indoor and outdoor ceremony and reception areas, all designed to create a bespoke coastal wedding ambience. The areas, including The Point, The Pavilion, and The Lawn can host between 100-250 guests. 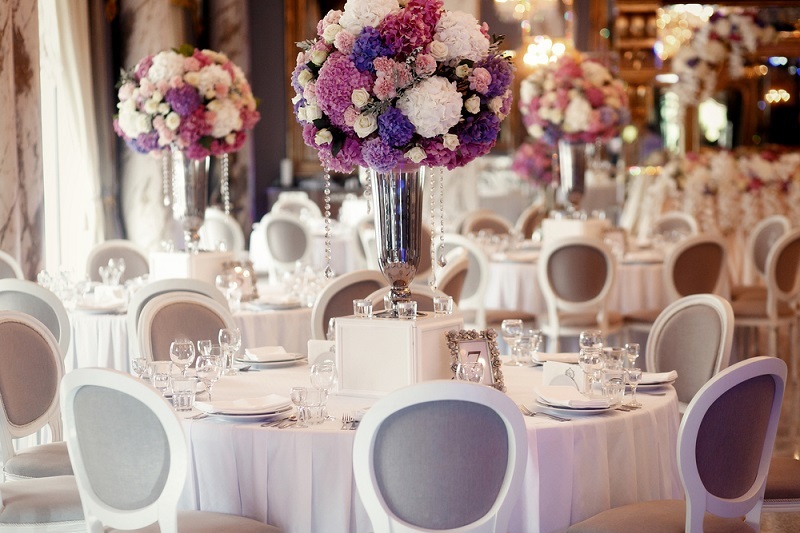 The professional wedding coordinators will help you determine numbers and seating arrangements to suit your needs. Here is a place to race down the aisle in absolute style. The Port Macquarie Race Club is a great venue for all types of wedding parties and receptions. There are a wide range of rooms available to cater for all sizes and guests numbers. From 15 people to 900 guests, either banquet style or cocktail party, everything is possible here. There are a wide range of catering options available for flexible menu options, with dietary requirements able to be catered to. The seating plans can be altered to suit your style and guest numbers. The party can really get started for a reception here. In a town where the climate is always right, Mercure Centro Port Macquarie is a great venue to let the festivities unfold for your wedding day. The spacious rooms can host up to 150 guests in a banquet style affair for a reception to remember. This hotel has a bar and restaurant on site to make sure bellies are full and drinks are flowing. With modern decor and top facilities, this is a vibrant venue for a reception with flair and style. With lakeside views and vineyard landscapes, Roses Vineyard at Innes View is a cosy retreat for a countryside wedding. The restaurant and winery provide quality service, flexible catering options, and devine drops of wine to complement the special day. The grounds are magically transformed with fairy lights surrounding the trees and a marquee to allow the reception festivities to get underway in an alfresco style. Guest numbers will need to be discussed with the venue. Photo opportunities are plentiful with the gardens and trees setting the scene. The conference room at Port Pacific Resort can quickly be transformed a spacious wedding room. With window views overlooking the waters before you, this is a great place for a celebration to get underway. There is a large adjoining outdoor terrace space to get the party started both indoors and outdoors. Accommodation packages can also be arranged in consultation with the professional staff. Guest numbers will need to be determined in consultation also. The picturesque setting of this venue ticks all the boxes along with their exquisite wines, world class cuisine, and expansive grounds. The professional staff on hand are able to help out with many details of planning your special day to absolute perfection. The number of guests for your wedding reception can be determined when you contact and inspect the property. You have a range of choices for an alfresco ceremony with so many picture perfect spots around the ground. Dining and catering options can be tailored to your choice. The function rooms here at Panthers Port Macquarie can cater for numbers from 10 – 1000, meaning all your reception needs are taken care of. There are 6 rooms to choose from for your special event to make sure everyone can join in celebrating your love. This venue is best used as a reception only space. There are catering options available and drink packages to please. The rooms are freshly renovated, modern, and have professional service on hand. With a restaurant downstairs and a function room upstairs, Town Green Inn is equipped to cater for up to 200 wedding guests. The function room provides an ideal reception space overlooking the the stunning waters of the port. Catering packages are available for canape, seated dining, and drinks as well. Located so close to the water’s edge, this is a great venue to combine with a separate beachside ceremony. After the nuptials and formalities, you can stroll across to the function room and let the festivities commence. This stunning venue comes with flexible seating plans, wedding packages, and great menu choices to get the party started. The region’s natural backdrop makes sure the photo opportunities are endless and perfect. The venue is flexible for all sizes of wedding parties. It can host up to 100 people comfortably for the reception. A function coordinator will be on hand with you from start to finish to make sure all the finer details are perfect for your special day. Recently renovated and now offering a modern bar and modern function facilities, Tacking Point Surf Life Saving Club is a great place to celebrate love and commitment. The expansive deck offers unbeatable views over Lighthouse Beach. A beachside ceremony with the sand between your toes is perfect here. The function centre allows the festivities to continue indoors, with food and drinks served. The number of guests needs to be discussed with the venue coordinators. There’s no party quite like the ones the Irish host, and now you enjoy the ambience of an Irish pub for your wedding reception and ceremony. This cosy pub and river lodge is located right on the banks of the Manning River for unbeatable natural views. The warm colour scheme inside with cute character all around makes for a great place to set up for reception. The grounds have many gardens, statues, and flowers to capture to the perfect wedding photo in. Wedding packages are available to suit a variety of guest sizes. No matter what your style or budget, The Med Crescent Point has something to offer you. The grounds are spacious with a covered barbecue area and a manicured lawn. There is also a pool for spectacular photo poolside photo opportunities (or even a dip and swim for more adventurous couples!). The dining options on site will leave everyone satisfied. The menu is provided with fresh and organic local ingredients bursting with flavour. An event coordinator can help organise all the finer details of your wedding day, including guest numbers and rooms available. Experience a wedding with a difference on this farm property. Longview Farm is a great venue for a ceremony and reception combined, with packages and catering options available. Everything can be tailored to your specific needs here. The charming property has stunning views all around. The picturesque river banks make for stunning photo opportunities to capture these moments forever. The decking and marquee can be transformed to magical setting with fairy lights to commence the evening. Guest numbers can be determined in consultation with the wedding planners on hand. Take your wedding celebrations to new waters with a cruise along the Hastings River. Cruise Port Macquarie offers a wedding party with a difference, offering a unique experience for all budgets. They specialise in smaller weddings, with numbers capped at 110 guests. The reception can take place during a 4 hour cruise along sparkling river waters. The scenery as you sail along provides the perfect backdrop for unforgettable wedding photos. A dance floor, buffet food, and dolphins diving around the waters make this a one of a kind wedding. Port Macquarie is a town brimming with ambience and atmosphere. The natural scenery of the location means there are photo opportunities abound. The vibe of the area will give your wedding day a special feel. This list is here to help you get a idea of what wedding venues in the area can offer for your special day. Gain some inspiration and hopefully find the place that is right for you to walk down the aisle. These wedding venues in this gorgeous destination are sure not to disappoint!